A lot has happened this summer. The Art in Hand cards shipped and that has brought a lot of attention. 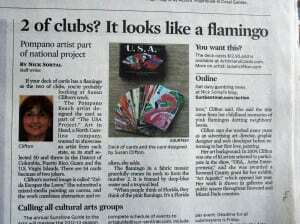 Most recently I was in the Sun Sentinel for my part in those cards. 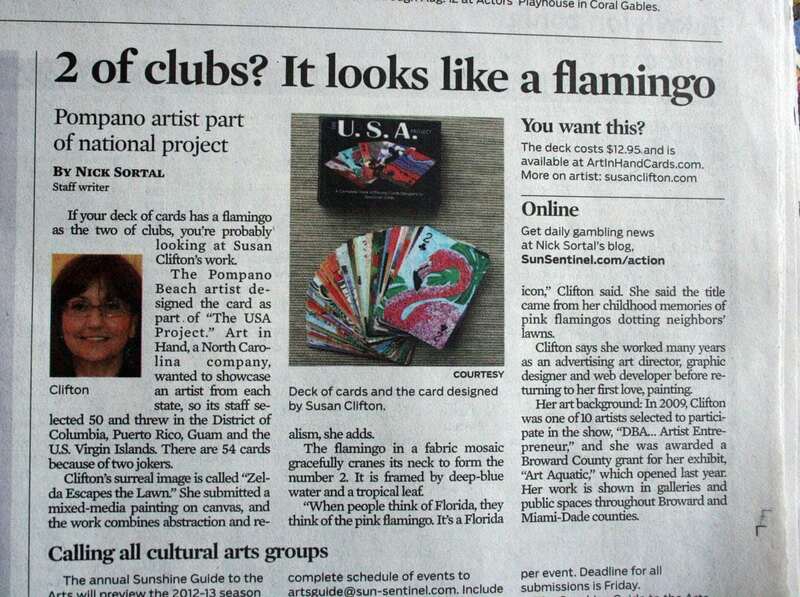 I was very pleased that not only the Sun Sentinel found it an interesting project but that a few web sites that featured the cards chose to put my card on top. Gotta like that! BTW: If you still want to purchase a signed deck I am running out fast. Click here to order. 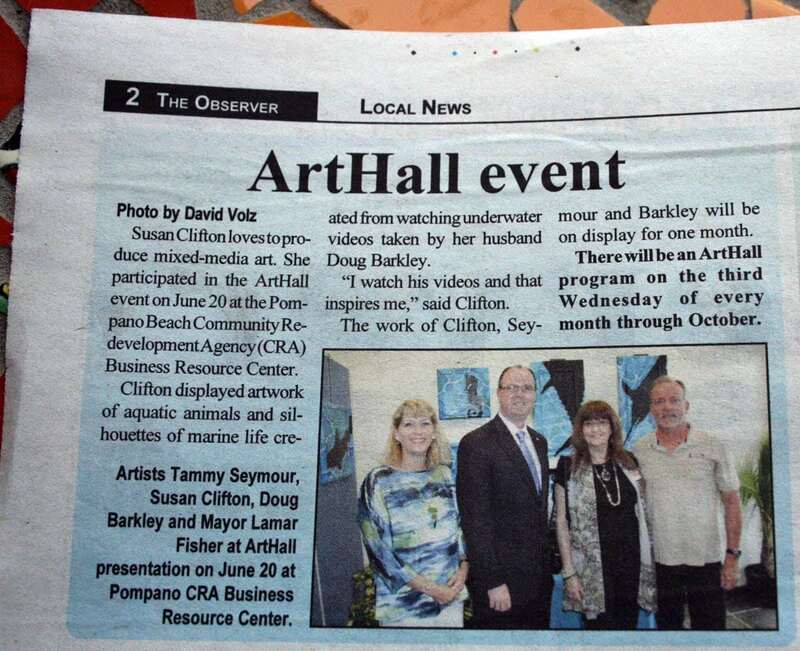 In June Doug and I showed our Art Aquatic show in Pompano Beach at the Art Hall, located at the Pompano CRA Business Resource Center. 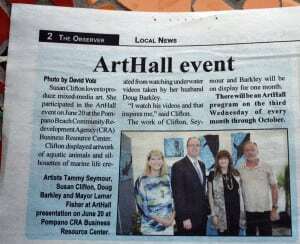 The event brought out Pompano residents, including the Lamar Fisher, Mayor of Pompano Beach. This will be the first of many future art events in our city. Pompano Beach is planning a Cultural Complex in the downtown area. There are great things coming. Watch the video from the night of our event with Mayor Fisher commenting on Art in our city.